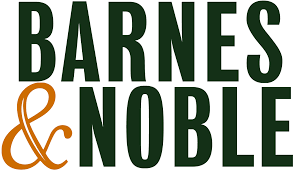 Barnes & Noble, Inc. (NYSE: BKS), the world’s largest retail bookseller, today released its hottest toys & games list for the 2018 holiday season, including top educational toys & games, bestselling brands and exclusives found only at Barnes & Noble. This year’s selection has toys & games grouped by age, so parents and gift-givers can easily find the perfect gift for everyone on their shopping list. Baby Alive Real As Can Be –Baby Alive Real As Can Be has over 80 lifelike movements, expressions and real baby sounds. Kids will love caring for their own baby! Fisher-Price® Laugh & Learn Game Controller – Your baby can get into the gaming fun with this toy video game controller, which features two “gaming” modes and lots of hands-on activities! Fisher-Price® Think and Learn Rocktopus™ – With three ways to play, Think & Learn Rocktopus helps kids explore a variety of musical styles while learning about different instruments, rhythmic patterns, and more. Hatchimals HatchiBabies – Introducing the newest Hatchimals straight from Hatchtopia: the HatchiBabies! These magical creatures are hidden inside colorful speckled eggs, but they have a secret - they’re forever babies! KidiSecrets Selfie Journal™ – Make a photo journal, write diary entries or record messages and keep them safe in this KidiSecrets Selfie Journal. PAW Patrol Ultimate FireTruck – Kids can save the day with Marshall’s Ultimate Rescue Fire Truck! Peppa Pig Transforming Camper Van – Peppa Pig’s Transforming Camper Van toy set includes a transforming campervan your child can open up, figures of Peppa Pig and her whole family and a set of outdoor camping gear that even includes a bonfire. Scruff-A-Luvs – When buying your Scruff-a-Luv, they arrive as a sad ball of matted fur, but once you bathe them, dry them, brush them and love them, you will discover what kind of pet they really are! Sesame Street Let’s Dance Elmo –Get ready to move and groove with Let’s Dance Elmo! Little ones can get the dance party started by pressing the Elmo toy’s heart button to hear fun phrases. Zuru Rainbocorns Sequin Surprise – The Zuru Rainbocorns Sequin Surprise features a bright mystery egg that hatches a Rainbocorn. Chow Crown Game – It’s the musical crown-spinning, chow-chompin’ game. Put on the crown then load the dangling forks with various food. The crown will spin and play music – and the challenge begins! Fingerlings® Hugs™ – Monkeys – Meet Fingerlings HUGS - they’re softies when it comes to affection! Swing them, pet them, and rock them to sleep, or give them a kiss and watch them kiss you back! Grinch with Max Plush (B&N Exclusive) – Only available at Barnes & Noble, The Dr. Seuss Grinch and Max Plush Set is great for anyone who enjoys the warming story of the Grinch. Hairdorables Dolls – Introducing Noah and the Hairdorables, the girl squad with “Big Hair Don’t Care” attitudes. Each surprise doll comes with fashions, hairstyles and accessories that are unique to her style and talent! Hot Wheels® Corkscrew Crash Track™ – Thrill young drivers with a motorized triple-loop track set that amps up the stunting fun to head-spinning levels. Kids First Coding & Robotics – Meet Sammy. This cute little peanut butter and jelly sandwich is actually a robot that teaches coding principles and skills to children in grades K-2. O.L. Bigger Surprise – L.O.L. Bigger Surprise toys offers multiple layers of surprises with never-before seen additions to your collection of glittery dolls. MEGA Break Out Beast Eggs – It’s slime time when you unleash the Breakout Beasts! Break open 1 of 5 mystery eggs to discover a slime surprise, then dig out all the pieces to build your beast! ROBLOX Ultimate Collector’s Set – Enjoy creating an exciting new adventure with classic characters from the world of Roblox! Wellie Wishers Willa™ Doll (in-store only while supplies last) – This 14.5" (36.8 cm) doll is sized just right for younger girls. She has hazel eyes and silky strawberry-blond hair in long pigtails that can be brushed and styled. BattleBots® Arena – This set from HEXBUG® includes two battlebots with two remotes, large battle arena, and batteries – let the battle begin! Beyblade Switchstrike Starter Pack – Switch up your striking powers with Beyblade Burst SwitchStrike tops. SwitchStrike features affect the way tops behave to help bladers customize the course of battle. Boxer Robot – Meet Boxer: your real robot pal! This plucky little bot comes to life right out of the box and is raring to go - no assembly required! Day & Night Globe – This ten-inch-diameter acrylic globe has a light inside, allowing it to function in two modes. In its non-illuminated day mode, the globe displays a detailed, exquisitely designed physical and political map of Earth. Fugglers™ – Fugglers are mischievous and misunderstood plush creatures. Adopt at your own risk! KumiKreator™ – Kids can spin to create friendship bracelets with the KumiKreator Friendship Bracelet Maker. Makes Up to 10 Bracelets. Laser Chess™ – Laser Chess is a two-player strategy game that combines the spatial thinking skills of chess with the high-tech fun of laser beams. Players alternate turns moving their mirrored pieces around the board, and at the end of each turn, players fire a real laser beam from their laser. LEGO® Harry Potter™ Hogwarts™ Great Hall – Travel to Hogwarts via LEGO’s Harry Potter Hogwarts Great Hall for fun and magical adventures! Includes 10 minifigures. Nerf Laser Ops Pro Alphapoint 2-Pack – The Nerf Laser Ops Pro AlphaPoint 2-pack gives players everything they need to face off in head-to-head live-action laser battles right out of the box! Includes 2 blasters and 2 armbands. STMT Bath Bombs – Create your own in-home spa experience with the STMT Bath Bombs kit! This kit includes everything you need to make your own colorful and fragrant bath bombs, along with an instruction booklet with tips and suggestions. Catan 5E – In The Settlers of Catan, players try to be the dominant force on the island of Catan by building settlements, cities, and roads. Disney Villainous™ Game – In this epic contest of sinister power, take on the role of a Disney Villain and strive to achieve your own devious objective. Handimonium™ – This hilarious game lets you challenge your friends to simple tasks that become outrageously difficult when players have to perform them wearing a pair of tiny hands! Limited Edition Scrabble® Glass – This beautiful, rotating, temper-glass Scrabble Gameboard comes with non-slip Faux Ivory letter tiles, 4 tile racks, fabric tile pouch, and a custom scorepad. Lord of the Rings: Quest to Mount Doom (B&N Exclusive) – The One Ring has awoken and the Dark Lord Sauron scours Middle-earth in his search to reclaim it! In Barnes & Noble’s exclusive Quest to Mount Doom, 2-5 players race to locate The One Ring somewhere in the depths of Middle-earth. Pandemic – Four diseases have broken out in the world and it is up to a team of specialists in various fields to find cures for these diseases before mankind is wiped out. Superfight: Superchest (B&N Exclusive) – This Barnes & Noble exclusive is a hilarious card game based on fights between characters with superpowers and super problems. The Voting Game – The Voting Game uncovers the hilarious truth behind your friendships. Tally the votes and laugh as the personalities of your friends are revealed! Ticket to Ride – Ticket to Ride is a cross-country train adventure where players collect cards of various types of train cars that enable them to claim railway routes connecting cities throughout North America. What Do You Meme? – The new meme game everyone’s talking about. Compete with friends and family to create the funniest memes. The top toys list is just a sampling of the wide selection of must-have toys & games Barnes & Noble has for the holidays. Customers can find these and other gifts at Barnes & Noble stores nationwide and online at Barnes & Noble’s 2018 Holiday Gift Guide (BN.com/Holiday) while supplies last.